It’s easy to get lost when there’re so many different Farming Simulator 19 mods. Many fans are complaining about facing difficulties finding the right mods even though they’ve searched all the categories. However, this category is something special. It doesn’t contain specific mods vice versa it contains many different mods which couldn’t found their place in specific categories. 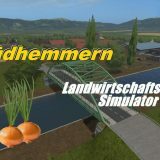 This’s the main reason why you shouldn’t go past Farming Simulator 19 others mods without checking it. As all of the other categories FS 2019 others mods contains free mods as well. Sometimes here you may find greatest mods which could provide so many new opportunities and advantages. You shouldn’t miss it and spend at least couple minutes of your free time. Maybe you’ll find something extremely special that no one have still found. Download LS 19 others mods and enjoy newest advantages which are still unknown for many other Farming Simulator 2019 players.